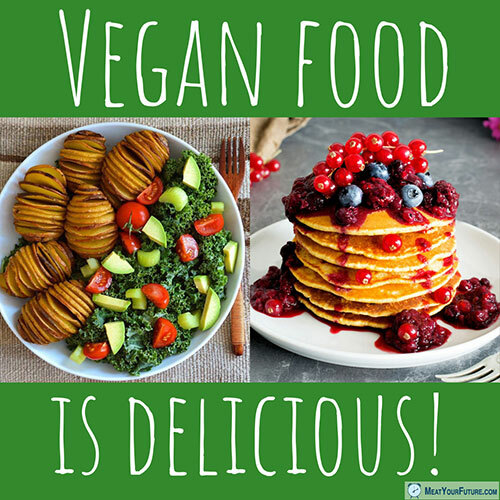 From the most healthy foods to the most decadent desserts, eating a diet without animal products does not mean deprivation. From oatmeal with pecan milk, cinnamon, berries and nuts for breakfast, to veggie wraps with hummus for lunch, to a cauliflower steak or jackfruit BBQ tacos for dinner — the sky’s the limit for the limitless foods you can eat vegan. Remember, we have no biological need to consume any animal foods for our health. None whatsoever. There are Olympic athletes who are vegan, and you can be vegan too. This easy switch is also one the most impactful actions you can do to help the planet, and, of course, it withdraws your support for the cruelty and death imposed on billions of animals used for food every year. So, if you haven’t already, we invite you to go vegan today. Your only regret will be having not done it sooner. Please recognize that using animals is unnecessary and cruel. Please withdraw your participation from such needless cruelty by taking the easy step of living vegan. Are Some Traditions Cruel and Outdated?